Digital portfolio take different forms and are used for different purposes. Whether to document, diagnose or simply celebrate learning, digital portfolios have the power to transform learning and enhance academic achievement. 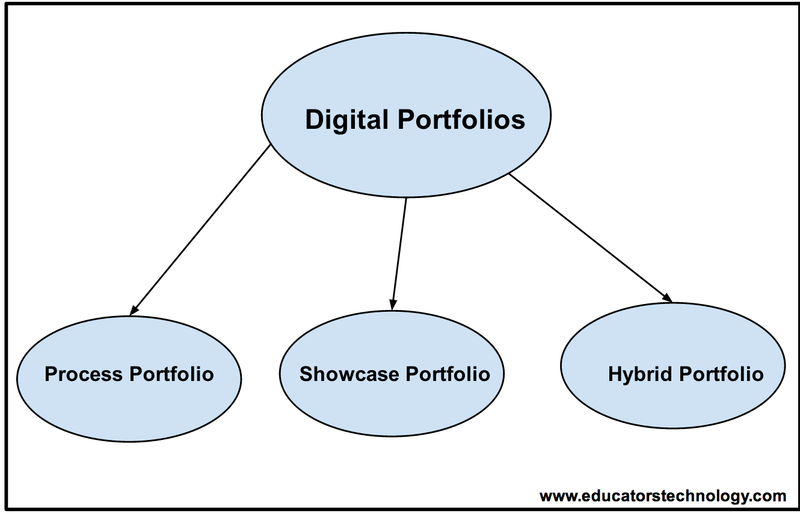 There are three main types of digital portfolios you can try out in your class. I have drawn on the work of Hally Clark to explain to you what each one of these types mean. I have also included links to pages where you can access web tools and iPad apps that you can use with your students to create digital portfolios. As its name indicate, this kind of portfolio highlights the process of learning and not the outcome.Using a process portfolio, students will be able to reflect on what they learn over an extended period of time. They can for instance write an essay and then keep checking it periodically and in every time they reread it they edit, delete or add something to it. As they keep working on their essays, students get to spend sometime reflecting on the changes they did and contemplate other ways to make their writing better.This kind of reflection usually prompts students to pose new questions, think critically, and so often, conduct additional research into what they are working on. This is where students display their best achievements. This type of portfolio is particularly essential in boosting students self-esteem and in increasing their sense of pride in what they have learned. In Showcase portfolio, students are encouraged to share their finished work using different formats including: images, videos, blog posts, audio clips, pic collage and many more. A hybrid portfolio is a combination of process and showcase portfolios. The kind of work students feature here is more encompassing and representative of both the process and outcome of their learning.In this way, students will be able to both reflect on their learning as well as highlight and share the best pieces of their work that have value to them as learners. In a hybrid portfolio, students can work on longitudinal projects spanning extended periods of times. They can for instance take a project from the previous year and expand more on it over the following years.